A crisis was averted recently in the near demise of World Nutella Day. A recent LA Times article highlighted the story of an American blogger living in Italy who has become the No. 1 fan by promoting World Nutella Day. According to the story, Sara Rosso, a self-admitted Nutella fan conjured up the idea in February 2007 to promote the love of Nutella products with a global appreciation day. With her World Nutella Day Facebook page of 40,000 likes and 7,000 Twitter followers, consumers overwhelmingly supported Rosso during the legal spat. It seems that Rosso inadvertently violated usage of the Nutella brand on her website and the legal team for parent company Ferrero Roche issued a cease and desist order that spurred outrage from Nutella lovers around the globe. Fortunately, in an act of pure common sense, company officials reached out to her directly with an acceptable solution (no word on the details, but Rosso claims there was no money involved) and ultimately thanked Rosso for her support and love of the product. If the company had acted in a more heavy-handed manner, public opinion could have quickly turned against it. Thankfully, we can all enjoy our chocolate hazel-nut spread in peace again. Do you think the quick resolution helped preserve the brand? I beleive Nutella brand saved face…but missed a huge opportunity. With so much social media support, instead of the ‘heavy hand’ it might have used her in a commercial or advertising piece. I agree Jim. It’s good to see a brand use common sense and not flex their muscles. But with 40,000 followers on Facebook, one has to think that Nutella could have turn this around and actually used it as a PR/marketing gain. The possibilities of how they could have used Rosso in their favour are endless. I have to agree. I can think of so many ways Nutella could have used this opportunity to gain massive awareness and combat Hershey’s recent introduction of hazelnut spreads that are directly competing with Nutella now. Jim makes an excellent point. I found it surprising that Nutella would call her free product promotion “a violation”, if anything they should have thanked her or like Jim suggested they could have used her as a spokes person for a campaign. I do believe Nutella saved face by dropping the legal charges (which in my opinion was a bad move by Ferroro Roche to even file legal charges in the first place). I agree with Jim here, I actually think Nutella could have capatalized on this situation. They might have saved potential “bad branding” per say–however the power of social media is so great that it could have actually increased their popularity. Uncontrolled communication, social media, can really enhance a brand. However, I do understand Nutella’s want to control their brand image themselves–especially since this specific individual was gaining such a following. Perhaps, if I was advising Nutella I would have encouraged them to bring their Nutella influencer on board rather than enforcing a heavy hand to end the posts. They had so many opportunities presented to them for free. They could have given this Nutella lover, who has already established a large loyal following and presented several successful product promotion ideas, an endorsement. Instead they had to mess everything up and do this. They saved face, but as said by everyone else, they missed out on a huge opportunity. With Nutella doing the “cease and desist” they missed a huge opportunity to really capitalize and utilize the fan base this “#1 fan” created. This fan, essentially brought positive attention and free advertising for the brand, and Nutella instead of embracing it, killed it. And then attempted to save face they already took legal action. The quick resolution helped save the brand from humiliating themselves for sure. It is clear that, Nutella by doing this, caused an issue. A quick resolution really did save their reputation. a cease and desist letter is a bit extreme. I think they were just trying to scare this superfan of just make it known that they still have control over the product. Or, it could be that Ferrero Roche was just upset that they didn’t think of the world Nutella day and that this lady’s page was upstaging their “official” Nutella Facebook page. Glad the two parties could work it out with minimal damage. Nutella really doesn’t have competitors that offer the same hazelnut spread. So, what are they so worried about? I’ve actually never bought the spread and only tried it once. I may have to go get a jar to see what all the hype is about. I agree with you Renee, they missed a big opportunity. I think a lot of businesses often react too fast and react defensively in these situations instead of taking time to analyze how they can utilize this situation to their advantage. This issue makes me wonder about what mechanisms are currently in place to judge situations that involve the public. Was the legal team working alone? Was the PR team not consulted? Going forward, what is the process to ensure that something like this doesn’t happen again: namely, that a wonderful expression of love by your customers and fans is not trampled on in the name of procedure. Many friends of mine and myself love Nutella; we love it to a point that we think its “dangerous” to keep a jar at home because we can’t stop eating it. If there’s a “world Nutella Day” we would be supportive to it too. Therefore, I wonder why would Nutella’s legal team raise a “cease and desist” case against the company’s #1 fan and the “world Nutella Day” since it’s a really great free publicity and support from consumers. Although it end up with peace between the fan and Ferrero Roche, it still leave a impression that the company does not welcome their supportive consumers. Furthermore, it kills the opportunity of free PR. My family and I love Nutella, too. In the “cease and desist”, I think that it may lost a lot of opportunities from their “#1 fans” even though Nutella save their face. Therefore, in order to prevent to make a mistakes, we should look before we leap. And just if anyone is curious, the Jif version is terrible by comparison. Although I agree with everyone above that there was opportunity missed, I also understand the cease and desist. Nutella has no control over what is posted or retweeted on their fan’s page. This is dangerous, because not everyone will recognize that the “World Nutella Day” pages are fan run. If page visitors were to post anti-nutella, negative messages, or possibly politically incorrect messages it could really affect the consumers perception of the company. Thus, damaging the brand. I definitely think the quick turn of events on how they chose to react ultimately saved them from hurting their brand. There’s a difference in her promoting and selling Nutella claiming it without permission, it is a completely different thing when she is promoting the brand and really just making awareness for the brand. She had 40,000 people liking the Facebook page of Nutella World Day, Nutella should have been thanking her for the outpour of support they got and appreciated how many people truly do love the product. It was a great decision to step in a take back the cease and desist order and thank her for her loyalty. I do think Nutella preserved the brand. But its a shame they didn’t see the opportuniuty to use Sara more, and them both come out of it with more. But I’m glad Nutella didnt flex their muscles. Yes, they could have and been well within their rights too, but Im glad they didn’t. Reading this reminds me of a story from 2013 where the the Uinversity of Oregon threatened to sue a small high school on the east coast who used the same “O” in different colour. Oregon could have used the PR in their advantage, but chose to bully the little man. Sad. I think Nutella made a great move in trying to work with Rosso rather than bully. I’m not sure if totally buy that there was no money exchanged, but I think that it’s great Nutella (Ferreroh Roche) used their common sense to realize what a mistake it would have been in the public’s eye to bully out a single website/person over the use of their name. In my opinion, Nutella clearly missed out on using this great opportunity to create brand awareness in the United States. To the contrary, they created some bitter taste even though they worked things out eventually with the world’s biggest Nutella fan. The brand has been a staple in European pantries for more than 4 decades, as it can be classified as the European Peanut Butter. It appears that the parent company (Ferrero) and Nutella have not been on the same page when the cease and desist order was initiated. I don’t think the brand has suffered but I believe they could have taken advantage of this type of earned media and gain more brand awareness and therefore more customers. Nutella definitely saved their brand by their quick (and quiet) reaction to Rosso’s promotional day, Obviously she did not do it with bad intentions, so if Nutella were to choose to respond heavily-handed, I think they would have had many negative reactions from the public. I think they made the right decision. Apparently Nutella has missed such a great opportunity. They reacted in a very quick way that they didn’t realize that they might lose something that might help in marketing and advertising as well. They didn’t take advantage of such thing with 40,000 likes on a facebook page and 7,000 followers on twitter. But apparently Rosso inadvertently violated usage of the Nutella brand on her website and the legal team for parent company Ferrero Roche issued a cease and desist order that spurred outrage from Nutella lovers around the globe. I think Nutella saved thier barnd and reputation by quick way to resolve the problem. However they missed business opportunity so they should have take consideration about that. There was definitely some kind involvement with legal issue here, however, the action that Ross taken was totally benefit the interest of Nutella. It was indeed that the quick resolution helped preserved the brand, and Nutella intentionally destroyed this free globalwised advertising. It is a good thing they stopped the cease and desist letter, but I think they hurt themselves anyway. Companies are extemely careful with their brands, and in my opinion they are sometimes too careful. Companies need to be better at recognizing when their brand is being used in a complementary way. Nutella is a brand that has an extremely loyal following, almost annoyingly so sometimes. I remember when I hadn’t tried it yet and some of the fans of Nutella kept bugging me about it asking me if I had tried it yet multiple times. After trying the product I was delighted, I mean that stuff is good. That was a couple years ago and at that time there were no competitors that were similar. The small amount of competition leads me to beleive that that is why their consumers were so loyal. Nowadays Hershey’s has 3 different Nutella type spreads, which I have yet to try. It will be curious to see if the customers stay loyal or if Hershey’s can gain market share. In terms of this post, I feel nutella should have adopted their loyal fans and integrated them with the company instead of shunning them. 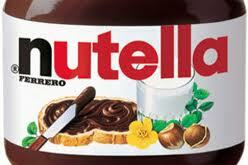 That gives the fans of Nutella a sour taste and a reason to try the new competition. I think so, but they should have celebrated her. Perhaps they want to keep their brand image more luxurious, but the fact of the matter is, Nutella is stoner food, much like Taco Bell. Taking a witty approach would’ve been much more successful and would’ve cultivated the nutella-love even further. Nutella should have done some critical thinking before they went off and sent a cease and desist letter to someone that is promoting their brand. It should have been common sense to not send that. It is very clear this person has the attention of the publics pertaining to Nutella. The owners of the Nutella brand should have realized this. This is just unprofessional. I agree with others on this. I feel it was a huge mistake for the company to issue the allegations to begin with. Though they appeared to save themselves in the end, I feel as though their actions caused more harm than good in the scenario. It shows that they don’t appreciate their consumers, specifically consumer’s pride in the product, and only care about the bottom line. If they acted smart, they could have worked with Sara towards her cause and took advantage of the free promotion of their product. It seems like there are really just some people these days that don’t understand the “big picture”. I understand that a brand involved with either a product or service can provide serious income and it’s important to legally have specific representation or copyrights/patents/publishing rights etc. However when a case like this arises I can’t help but shake my head and laugh. There is someone practically working for the brand image department for free and they decide it’s threatening to the brand itself to the point they send her a cease and desist order? From her social media sites it was clear that she had no negative tendencies toward the business so it was a horrible business decision to do what they did. It sounds to me like they mixed up good practices with poor practices and should re-evaluate how they determine when to send a cease and desist order. Knowing that mis-information is the biggest computer virus in web 2.0, they probably run artificial intelligence to pursue when negative messages are run about their product (they did say this was prompted by a negative message on the Facebook page). They do need to put the human element in and realize where the negative messaging is coming from, the publisher of the site or a visitor to the site. Once they realized their mistake they took action to reach out to the page designer and apologize. I believe it was sincere and simply a misunderstanding; but because of their carelessness it may not appear that way to some on the surface. Anyways, the biggest surprise to me was the Nutella is run by the same group that runs Tic-Tacs. I think it was in poor taste to discourage such strong dedication to the product. Nutella does have a cult following, and its understandable that extreme fans would want to promote their love of the spread. Ferrero Roche could have handled it better from the start by taking advantage of the free publicity the Facebook page was generating. Also, by thanking the fans for their support. Luckily, by personally reaching out to Rosso, they were able to avoid further backlash and injury to their brand image. The first thing that popped into my mind was there is no such thing as bad publicity. I feel that Ferrero Roche wanted to play the “bad guy” and then fix it in such a manner that would gain attention and notoriety. It honestly just seems ridiculous to take matters in such a serious manner, but I understand how FR would want to control their way Nutella is presented. Ferrero Roche could’ve used the person to promote its product. People who are famous on the social media sometimes have the bigger influence on the public than celebrities. Using the person as an ambassador could be a big opportunity for the company to attain more customers. Nutella should rather thank her for that free publicity ! It was a great opportunity for them to be viral. I had heard of the Work Nutella Day before and I genuinely thought it was the brand’s initiative! On the one hand, there is no such thing as bad publicity, and the fight might have helped raise awareness of the day. Many great promoters know that if you want to get publicity, you’ve got to fight someone. So on the part of Ferrero Roche, this could have been a good way to raise awareness of the day. It’s just as likely that the legal department of the parent company acted in a stupid way by drumming up problems, that Nutella then had to go and fix. It’s crazy though for a company to interrupt a successful, unpaid brand ambassador. Someone who is helping to build awareness, and has no possible way of hurting Nutella or the parent company in their use of the logo. It’s just a bad idea to interrupt this sort of free advertising, especially in the modern day were people have such easy access to information. You cannot afford to burn good will with your customers, not when competition is so steep, even for a niche product like Nutella.